탈북해서 남한으로 온 분들이 놀라는 일 중의 하나가 장애인들을 위한 시설이 잘 되어 있다는 것이라고 합니다. 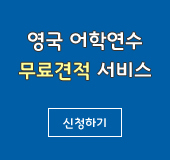 미국은 장애를 가진 사람들을 위한 제도와 시설이 정말 잘되어 있죠? And I think there've been a lot of efforts to accommodate and to make everything accessible for handicapped individuals. 장애인의 통행을 자유롭게 하기 위해서 아주 세심한 배려를 하지요. If a handicapped person needs to cross the street, the curb has to be at an angle so they can role off that sidewalk and to cross the street. 예를 들어, 횡단보도가 있는 곳에서는 큰길과 행인들이 다니는 인도가 만나는 곳에 턱을 없애서 휠체어가 유모차가 자유롭게 다닐 수 있게 해놓고 있습니다. If it’s a sharp drop, then a wheelchair can’t cross the street and to get to the other side. Sidewalks and crossings have to be built so that a person in a wheelchair can easily wheel to the other side. The crosswalk is equipped with a signal that is pronounced and announced out loud. And now they even tell you how many minutes or seconds you have to cross the street. 엘리베이터, 즉 승강기에도 장애인을 위해 배려한 흔적을 찾아볼 수 있지요? On an elevator to accommodate handicapped people number one the door has to be very wide to open up so that wheel chair can get in. And secondly, the numbers are raised and in braille so that a sight impaired person can push the correct button and get to the floor they need to. Usually any kind of parking lot has a certain number of handicapped parking places. In order to park there, you're supposed to have either a handicapped plate on your vehicle, or a little sticker that hangs for your rear view. Many times people think "Oh, I can't find a parking place, so I'll just park here." and you can be fined. You can get a ticket for parking in the handicapped parking. Many public places are handicapped accessible. 일반 대중이 이용하는 버스에도 휠체어를 탄 장애인들이 탈 수 있게 되어 있지요. Yes, many public bus systems have a wheel chair lift so that folks in the wheelchair can ride the bus. 버스 정거장에 휠체어를 탄 사람이 기다리고 있으면, 버스 운전사가 내려서 직접 휠체어승강기를 작동시키고, 버스 안 휠체어 고정 장치에 휠체어를 고정시킨 다음 다시 운전을 하고 가기도 하지요. Many restaurants have special tables that are a little bit higher to accommodate people in wheelchairs. And many public places have rest rooms that are specially for handicapped individuals. For instance, airports or in the rest stops along the high way or other public places, there are special rest rooms with wider doors. The sinks are lower, and the controls on the sinks might even easier to. 비행기 탑승할 때도 장애인 승객이 불편하지 않게 도움을 주지요? Yes, if a person who requires a wheelchair flies, the airline transports the person in the wheelchair to the plane and has them seated usually before other passengers and gets them settled. And then when get to the other end, a wheelchair is waiting by the airline. Even amusement parks and theaters and other places, usually they can accommodate handicapped people. 종종 장애를 가진 사람들이 기다리는 줄 맨 앞에 이용하게 하거나 특별한 배려를 해줍니다. 장애인이 이동을 도와주는 사람들도 같이 줄을 서지 않고 관람을 할 수 있지요? Yes, that's a good incentive for helping people with disabilities. You get to go to the front of the line. 그리고 회사나 정부기관 등에 장애를 가진 직원들이 근무할 경우, 근무하는데 지장이 없도록 시설을 갖춰야 하지요? There're many accommodations in an office setting to help with people who have disabilities. For instance, there're talking computers or calculators. 엘리베이터에는 시각 장애인을 위한 음성 안내장치와 점자 버튼이 있고요. The elevators are labeled in braille. If a person with a disability is hired, there are certain reasonable accommodations that you as the employer are required to assist with. 웰컴투아메리카, 오늘은 미국의 장애인들을 위한 여러 가지 편의시설에 대한 이야기를 나눠봤습니다. 지금까지 저 박형권이었고요, 리오라 앤더슨과 함께했습니다. 다음 주 이 시간 다시 찾아 뵐 때까지 행복한 한 주일 보내시길 바랍니다. 안녕히 계십시오.